FREE Share Tea at 10 Hong Leong Bank Branches! 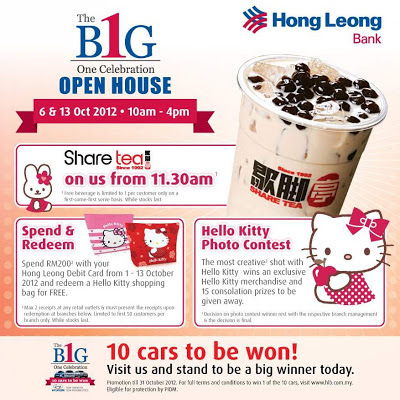 Free beverage is limited to 1 per customer only on a first-come-first-serve basis. While stocks last. 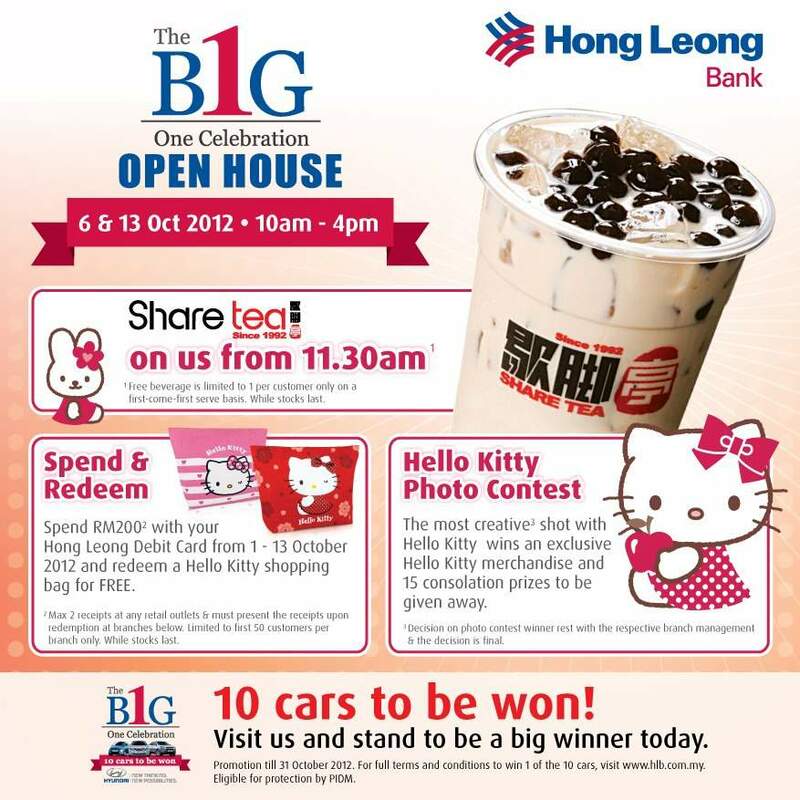 Better still, if you have a Hong Leong Debit Card, spend RM200 with it from 1 - 13 October 2012 and redeem a Hello Kitty shopping bag for FREE! Bring along your friends and family. Remember to LIKE & SHARE out! Remember to LIKE & SHARE out!